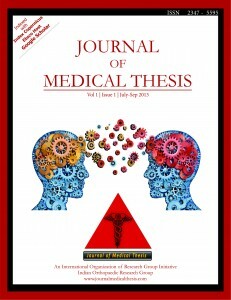 Journal Of medical Thesis has been a demand generated Journal. Every year more than six to seven thousand medical thesis are been written, However very few (less than 10%) see the light of publication. 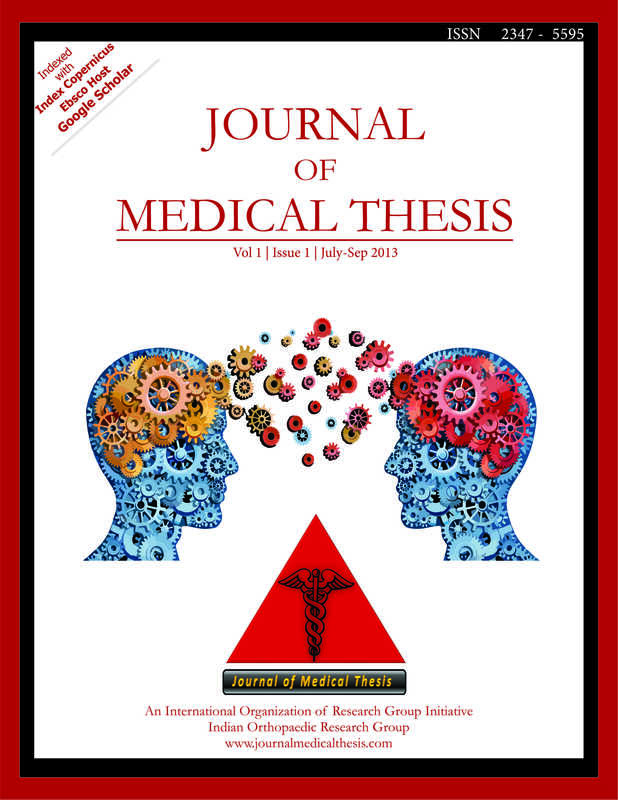 The Journal of Medical Thesis aims to provide a solution for this issue and also have added advantage for the students and the teachers who have invested both time and effort into the thesis. JMT will be an online, peer reviewed, quarterly Journal which will publish thesis in a format of scientific paper and also make the thesis online for easy Citation. 3. Sharing of this knowledge will also justify the co-operation of your patients and fulfill an important Ethical requirement. 6. The journal will be indexed with all major Indexing bodies, with improved citations for the authors. 7. Will allow immortalizing the first research work of all medical students across the globe and faculties. All Manuscripts will be reviewed by the Editorial Board and two external referees, and you will usually receive a decision on the manuscript within 8 weeks. All manuscripts are to be submitted via Journal Submission software "Scripture". Any other query regarding article formatting for submission process can also be mailed to editor at journalmedicalthesis@gmail.com.